Provide Shelters, Clean Water, and other Emergency Items to Protect Families! Officials are preparing for an outbreak of water-borne diseases. The death toll is still rising, and the number of persons dispersed continues to grow as well. Latest reports advise that approximately 800,000 are now homeless and in need of basic help – shelter and potable water. The Indian National Crisis Management Committee has directed that focus should be on the: food, water, and medicines. 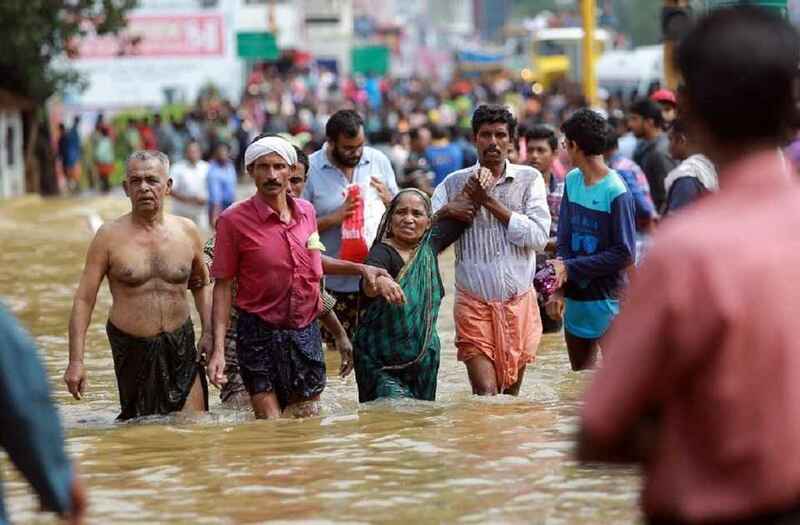 As the flood water recedes in Kerala, Disaster Aid International is responding in partnership with the Indian Red Cross and Indian Rotary Clubs. Food and medicines are not our specialty but, initially, 200 tents prepositioned in India, will be dispatched. As the flood waters subside we will be looking at how we can assist with the recovery from the disaster by using Smart Aid to rebuild homes and deliver safe water. - mailed to Disaster Aid USA at: 9817 Lanham Severn Road, Lanham, Maryland 20706 - Please note (Kerala Flood Appeal). Our donors will never see or meet the child, man, woman or family that received benefits from their donation, but you can be sure there is a special place in their heart with a "BIG, BIG THANK YOU". Please consider making a donation, Visit www.disasteraidusa.org Disaster Aid USA "Thanks You"
Our website will give updated information as and when it becomes available. Disaster Aid USA (DAUSA) is a Rotary Club project managed and run by American Rotarians, and was created on the foundation of Rotary International and its 4 Way Test and its guiding principles to perform a pivotal role in providing humanitarian aid and assistance expeditiously to distressed communities affected by disasters, natural or man made, domestic or international, home or abroad. A registered US 501-c3 Charity supported by Rotary clubs and other organizationals throughout the United States.